Ogres are like onions! Onions have layers - OGRES have layers!So says the famed green monster who debuted in book by William Steig and a DreamWorks film (2001). 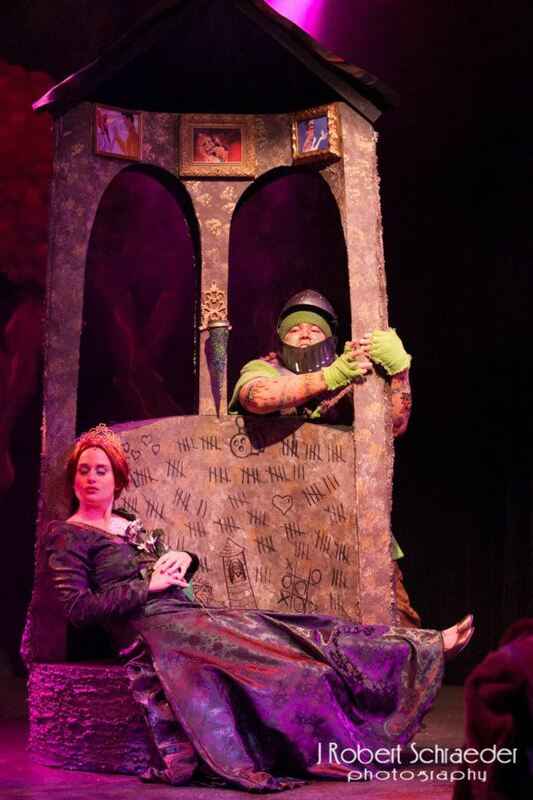 Shrek has starred in multiple sequels, had a run on Broadway and on tour - and he is now inhabiting the charming - I mean, odious - swamp at Kansas City's own Coterie Theatre. This new version of Shrek the Musical has been designed in collaboration with the Broadway team specifically for youth and family audiences - and it has definitely proven that there are indeed many, many layers to Shrek's story! The popular story follows the unlikely hero Shrek as he sets off on a quest to the kingdom of Duloc and beyond - and learns a lot of things about the world (and himself) along the way. 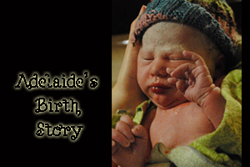 The book and lyrics were written by David Lindsay-Abaire and the score by Jeanine Tesori. Andrew and I caught a preview performance of the original version of Shrek during the original Broadway run, so we were pretty excited to see this new version and find out what elements had remained the same, and what had been updated for the new youth and family version. 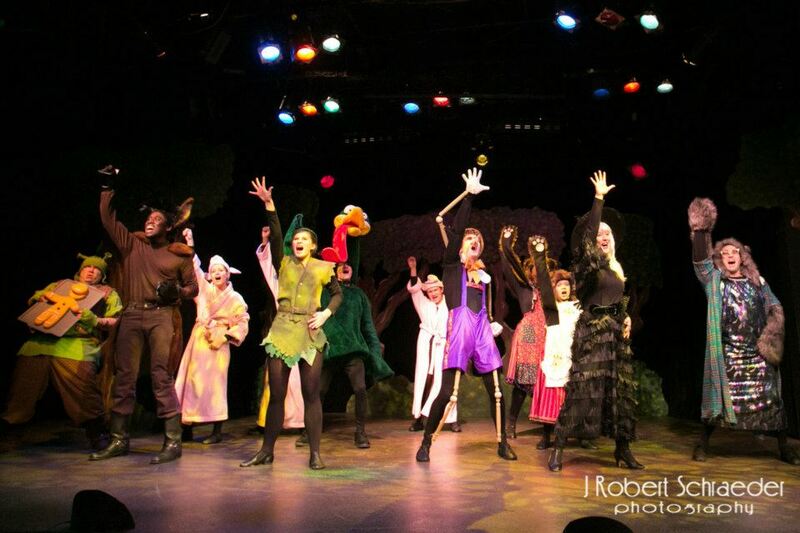 Shrek the Musical has arrived at the Coterie Theatre just in time for the holiday season. The show features a talented cast of local, professional actors - plus students from area high schools and middle schools who have been selected to be professional acting apprentices during this production. 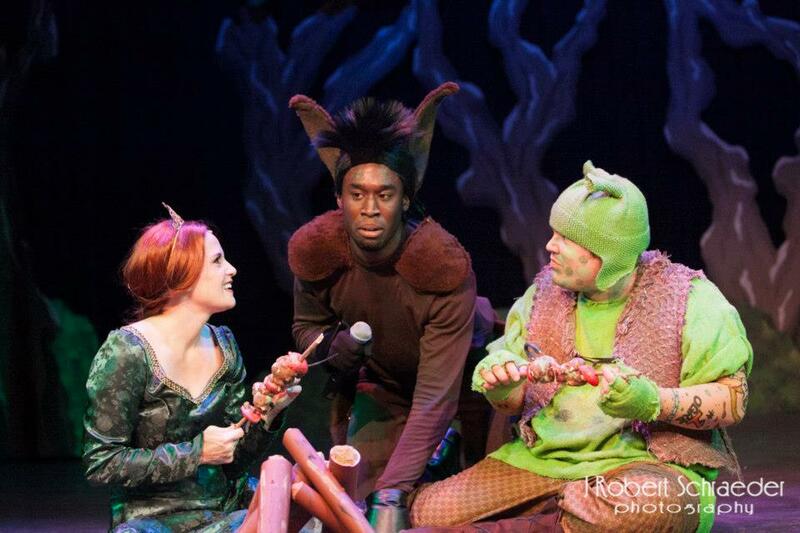 The show is headlined by Dana Joel Nicholson (Shrek), Lauren Braton (Princess Fiona), and Tosin Morohunfola (Donkey). Our journey into Shrek's world began as we took our seats and watched Shrek banter with the children in the audience. 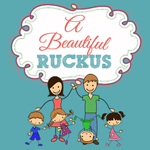 This was a great way to keep the kids entertained and draw them into the story before it began! The story takes off quickly with a roar from Shrek and the opening song, Big Bright Beautiful World. From the very start, you can tell this will be a high-energy, entertaining performance! If you've seen the movie, you already know the basic story - Shrek is surprised when an assortment of mismatched fairytale characters show up in his swamp, seeking refuge as they have been cast out of the kingdom of Duloc. Shrek is less than pleased to see them and must set off on his quest to rid his swamp of the newcomers - but not before we learn a little bit about all of these fairytale creatures in song (Story of My Life). Shrek is on his way to the kingdom of Duloc when he comes across a singing, talking Donkey - who seems determined to follow him and become his best friend. Shrek is less than pleased but accepts the company anyway. They arrive in the kingdom after a carbon-copied chorus sings about uniformity - with a hilarious introduction of the character of Lord Farquaad (What's Up Duloc). Farquaad wants a princess so that he can become king - and without realizing it, Shrek finds himself on another quest to rescue the lost princess Fiona in exchange for the rights to his swamp. 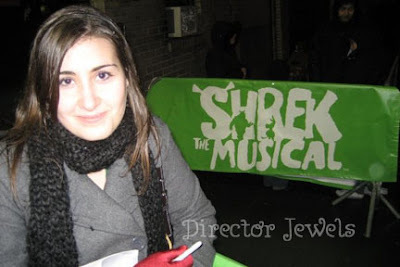 We meet Princess Fiona in a flashback scene (one of my favorite parts of the musical version) and watch her grow before our eyes (I Know It's Today). Her character is given an extra touch of fun in the musical, as it is apparent that being locked in a tower for the past 8,423 days has made her a little bit crazy. Once Shrek arrives at the castle, some hilarity ensues as he attempts the rescue. Donkey fends off the fierce dragon and the bunch makes their escape. Make sure you watch for the slow-motion choreography during Fiona's I Know It's Today (reprise). I was laughing until I had tears in my eyes! The rest of the story seemed to fly by - the actors were having a blast, and the audience was thoroughly enjoying their energy. I'll leave the rest of the tale to unfold when you visit the Coterie - it is true to the movie, but includes lots of fun songs and quirky jokes that give the musical its very own leg to stand on. The cast, led by director Jeff Church and musical director Anthony Edwards, put on a delightful performance that brought smiles to the faces of all involved. Shrek is a musical that plays well to audiences of all ages here at the Coterie -as there are a lot of jokes aimed solely at the grown-up members of the crowd. Shrek, Donkey, Fiona, and many other cast members also travel throughout the space occupied by the audience - which is always a fun touch when kids are involved. If your child is sitting in the floor area, they could even be asked to help out with a really quick (but adorable) cameo moment. The Coterie suggests that the show will be appreciated by ages 7 through adult. I'm a somewhat overprotective mommy, so even though my child is barely talking - and I did notice a few jokes that were on the crass side. The male character of the Big Bad Wolf wears a dress throughout the show. And there is even a song that is almost entirely a burping/gas-passing farce (the kids in the audience loved it, of course!). 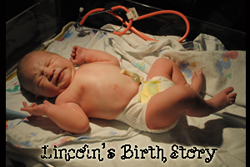 While some bits of story/lyrics have been changed from the original Broadway version to a milder form, hubby and I thought there were still a few things that had the potential to raise some interesting post-show discussions with little ones. Overall - if you and your family watch the movie version of Shrek together, chances are you will have no qualms with anything in this production! We found that the changes made to convert this production to a youth and family version were all understandable, but I wouldn't be honest if I didn't admit feeling a little disappointment that not a single one of Shrek's emotional songs (Who I'd Be, When Words Fail, Build a Wall) made the cut. That said - those songs bring in a slower pacing that would likely not be effective in a children's production! If you enjoy this production, I would recommend snagging the Original Broadway Cast Recording album so you can remember all your favorites and learn a few new songs as well! My final opinion? 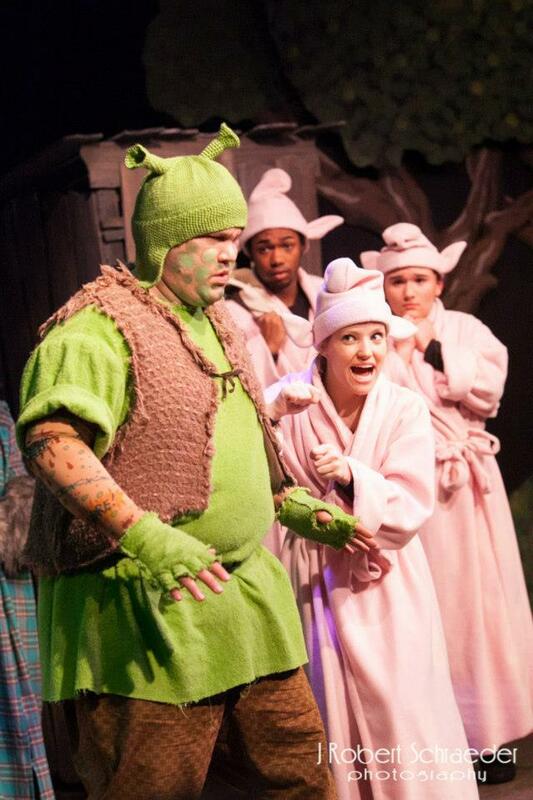 Shrek is a delightful production that is sure to engage, entertain, and energize audiences all through the holiday season here in Kansas City! I love living in a city that has such a unique venue as the Coterie - the opportunity to experience a show in this youth/family setting is definitely not one to miss. If you catch the show, make sure to let me know what you think! Shrek the Musical runs now through December 30, 2012 at The Coterie, which is located on level one of Kansas City’s Crown Center Shops. To view show times and dates and purchase tickets, you can head over to www.coterietheatre.org. You can also "like" The Coterie on Facebook and view a photo gallery from the show here. Thanks to The Coterie for providing me the opportunity to review this production! I received no compensation and all views expressed are my own. You can view my Disclosure Policy here.